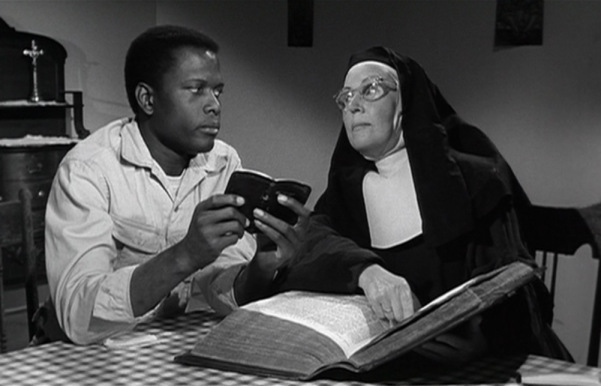 LILIES OF THE FIELD has the simplest of plots: an ex-GI, wandering around Arizona, happens upon a small group of nuns, refugees from the Iron Curtain. Working as their handyman, he builds them a chapel. 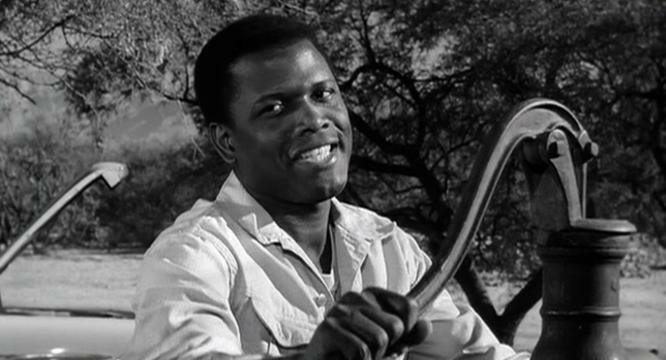 In the year of the blockbusters Cleopatra and How The West Was Won, this tiny item, released without fanfare or great expectation, took off and became the sleeper of 1963, pleasing critics and audiences alike, securing stardom for Sidney Poitier, breaking racial ground by happily handing him an Oscar for Best Actor. Sensibly directed by Ralph Nelson, going more for the heart than the noggin, and why not? Some funny moments, some touching, nothing in the way of patronizing attitude or sermonizing diatribe; putting over its message of brotherhood and gentleness with non-stick sweetness. 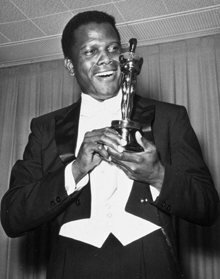 Poitier is winning as ‘Homer Smith’, although I think he did better, un-nominated work in A Raisin In The Sun and In The Heat Of The Night. 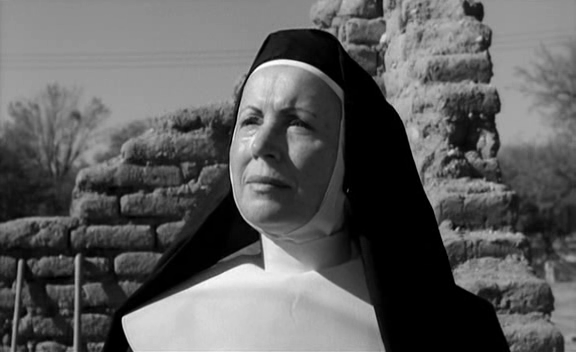 He’s securely backed by Lilia Skala as the Mother nun, a woman with steel for backbone and enough haughty pride to ensure that the good-natured doings don’t get too coy. A lilting, finger-snapping score from a fast-rising kid named Jerry Goldsmith moves the 94 minutes along. It was nominated for Best Picture, Supporting Actress (Skala), Screenplay and Cinematography. It wasn’t anything close to Best Picture status—there were a dozen better films released—but the good vibes carried it along to a bit more praise than was warranted. Shot in 13 days and produced on a minuscule $240,000, it grossed over $6,000,000.